The Special Edition A21SE Signature Integrated Amplifier builds on the strengths of the classic A21, offering pure class ‘A’ single ended operation, the sound remains distinctively ‘Sugden’. Upgraded with a fifty percent larger power supply and increased power output, dynamics are even more impressive. 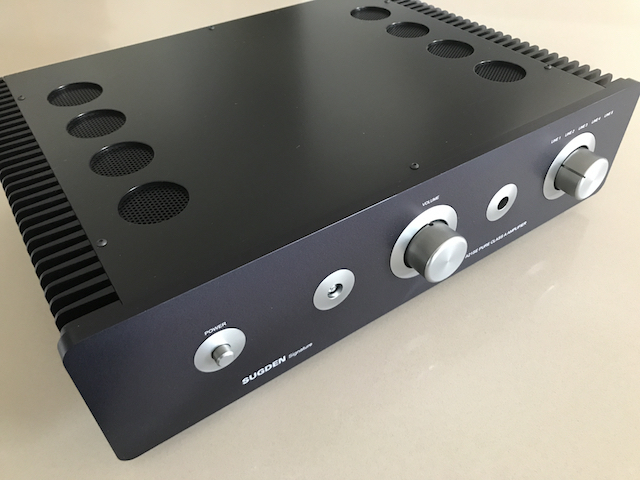 A sophisticated pre-amplifier stage is another improvement on the A21. This provides greater clarity without added brightness producing crystal clear highs. The larger power supply provides greater control over a wider range of loudspeakers and improved micro dynamics for low level listening. Inputs – Five line level operated by relays. Outputs – Pre-out (variable), tape out (fixed), one pair of stereo multi-way binding posts. Line Input sensitivity – 110mV for maximum output. Power Output – 30 watts pure Class ‘A’ into 8 ohms both channels driven. 40 watts pure Class ‘A’ into 4 ohms both channels driven. Bandwidth – 12Hz to 141kHz +/- 3dB. Signal to Noise – >84dB. Packed Weight – 14 kgs. Dimensions – 115mm x 430mm x 360mm (HWD). Recommended Retail Price – AUD$5,150.00. Sugden A21SE Signature – Standard finish in Titanium. Sugden A21SE Signature – Graphite finish. 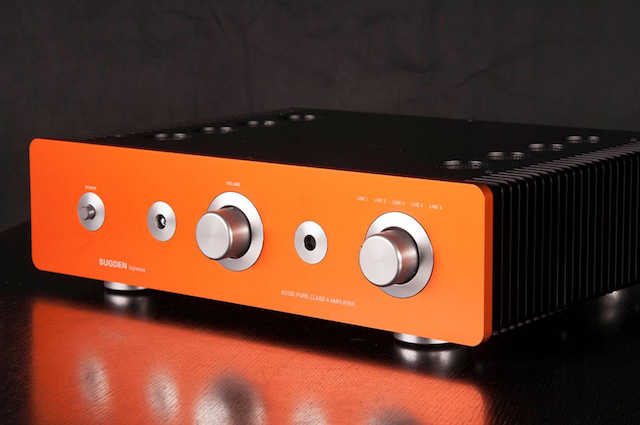 Sugden A21SE Signature – Custom Orange finish (extra cost option). 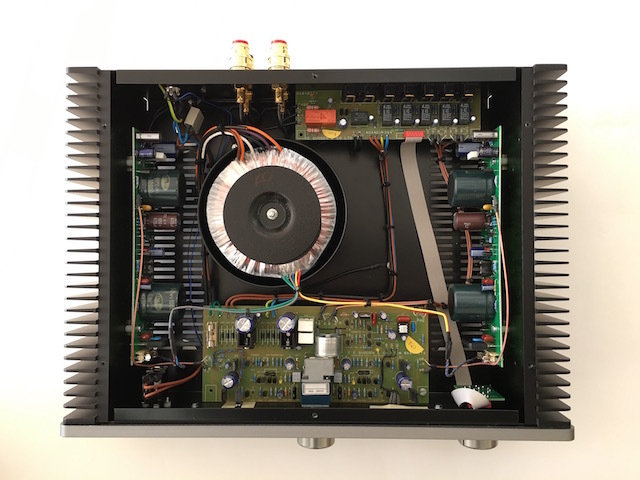 Sugden A21SE internal view showing dual mono configuration, separate pre-amplifier section and custom toroidal power transformer.